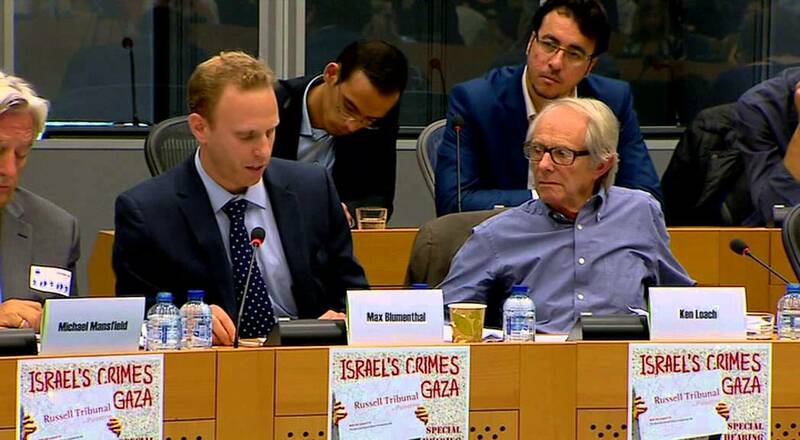 AlterNet writer Max Blumenthal describes what he saw in Gaza following a humanitarian ceasefire from last month. I arrived in the Gaza Strip at the onset of a five-day humanitarian ceasefire on August 14. With the cessation of violence, I was able to gain unfettered access to residents who had borne the brunt of the Israeli ground invasion in the hardest hit border areas, places like Khuza’a, Shujaiya, Beit Hanoun, Rafah, and the villages surrounding Beit Lahiya. I recorded testimonies from scores of residents of these areas, documenting war crimes committed by the Israeli armed forces. The atrocities formed an undeniable pattern, suggesting that the crimes committed by Israeli forces in Gaza during Operation Protective Edge were the product of stated military policies, or at least rules of engagement that enabled massacres, summary executions, wholesale residential destruction, the use of civilians as human shields, and abductions. I will describe these atrocities in as much detail as possible and allow the members of the jury to judge for themselves. In the rubble of destroyed homes surrounding a dusty open field lined with destroyed homes in Shujaiya, my colleague Dan Cohen and I found a laminated map of the area left behind by invading soldiers in an ammunition box. This is the first time it has been publicly displayed. I have analyzed it with help from Eran Efrati, an Israeli combat veteran who testified earlier today on his interviews with participants in the massacre in Shujaiya. The map was produced by an Israeli company but as you can see in the upper-left-hand corner, it is dated according to American, not Israeli, standards — “7/17/14,” rather than “17/7/14.” To me this raises questions about assistance Israel received from America’s National Security Agency, especially given recent revelations about the longstanding relationship between the NSA and the Israeli military. The labeling indicates that the “revenge line” Efrati has described today does indeed exist. My colleague, Mohammed Abeballah, filmed Shamaly’s execution and took me to the location where it occurred. To the best of my knowledge, the killing occurred in the area to the north of the “Hardufim” line. At the eastern edge of the central area marked in orange Hebrew letters as “Soccer Field,” I met Mohammed Fathi Al Areer. His home was a virtual cave furnished with a single sofa. In Al Areer’s backyard, four of his brothers were executed. One of them, Hassan Al Areer, was mentally disabled and had little idea he was about to be killed. Mohammed Al Areer said he found bullet casings next to the heads of his family members when he discovered their decomposing bodies. In Khuza’a just east of Khan Younis, multiple witnesses described soldiers gathering locals in the center of town as they occupied the area on July 23, then asking if anyone spoke Hebrew. When a 54-year-old man stepped forward to answer in the affirmative, they shot him in the heart. When I interviewed the Abu Said family in the southern city of Rafah, I found more evidence of the wanton targeting of Palestinian civilians who spoke Hebrew. Nineteen-year-old Mahmoud Abu Said told me when Israeli soldiers arrived at his family’s home on the city’s eastern outskirts, they immediately inquired if anyone spoke Hebrew. When his father, Abdul Hadi Abu Said, answered in the affirmative, they shot him in the chest (he miraculously survived). In Khuza’a, just east of Khan Younis, where the most grisly massacres of the war occurred, numerous witnesses told me about a similar incident in which Israeli soldiers gathered male residents in the center of town and asked if anyone spoke Hebrew. I was told by these multiple witnesses that when a middle-aged man stepped forward and answered that he did, he was shot in the chest and killed. These atrocities form a chilling pattern. Back in Shujaiyah, I met members of the Shamaly family, the relatives of Salem, the 22-year-old man executed on camera. Four of his family were shot dead execution style, according to their neighbors, the Al Areers. Meanwhile, in Rafah, the soldiers who occupied the Abu Said family’s home shot two young men who had attempted to flee under the intensifying Israeli shelling, Saleh Israibi and Ala Abu Shabab, sniping them down from across the street. According to Saleh Israibi’s father, Suleiman, his 22-year-old son was shot to death while attempting to rescue Abu Shabab, whom he found bleeding in the street. In Khuza’a, locals described to me witnessing hundreds of casualties as Israeli soldiers attacked those fleeing the town during the six day siege. Among them was Adir Rujeila, a 16-year-old epileptic girl blown out of her wheelchair by a tank shell as she fell behind her family fleeing on the road leading out of town. Hani Najjar of Khuza’a escaped only to find six corpses in his home — five in his bathroom and one in his kitchen — when he returned home. They had been handcuffed, had their throats slit with the knives he used to slaughter his chickens, riddled with bullets, then set alight. The bathroom was covered in dried blood and pieces of flesh when I visited. According to journalist Jesse Rosenfeld, at least some of the men were fighters associated with Palestinian Islamic Jihad. The execution of combatants while held captive and defenseless is no less a war crime than if they were civilians. Dan Cohen and I conducted an interview with two ICRC volunteers from Gaza, 25-year-old Ahmed Awad, and 24-year-old Ala’a Alkusofi, who worked with ambulance crews throughout the war, the video of which will be released in the near future. They recalled entering Khuza’a during the siege of the town to collect the body of Mohamed Abadla, a local man who had been tied to a tree by both arms and riddled with bullets. When they arrived at the execution site, a group of Israeli soldiers ordered one of the volunteers’ colleagues to exit the ambulance, walk five meters forward, then light a cigarette lighters. When he did so, they shot him in the heart and leg, killing him in front of his colleagues. The ICRC volunteers told us they later found a man in Khuza’a with rigor mortis, holding both hands over his head in surrender, his body filled with bullets. They then discovered a family — men, women and children — so badly decomposed they had to bury them with a bulldozer in a mass grave. The vast majority of bullet wounds they found were to the head and chest. In Beit Hanoun, a northern border city that had been comprehensively by Israeli shelling, I met Abdul Rahman, a 50-year-old farmer whose orange groves, bee farm, goat herd, wheat fields and four story home had all been destroyed prior to or during Operation Protective Edge. Rahman told me how his neighbors, the Wahadan family, had been prevented from evacuating by Israeli forces, who warned them they would be shot if they left. Remember that the Israeli military dropped leaflets on Beit Hanoun warning its residents to leave just prior to the ground invasion. A week after trapping seven members of the Wahadan family, the Israeli air force bombed their home, killing seven members, including two-year-old Ghena Wahadan. The survivors of the family were male relatives who had been abducted and interrogated for days in Israeli prisons. Were the Wahadans used as human shields? That’s an open and legitimate question. In other areas, I documented cases in which the use of human shields by Israeli soldiers was undeniable. On the outskirts of Rafah, for instance, soldiers stripped 19-year-old Mahmoud Abu Said of his clothes and stood him in front of windows in his home while they sniped at his neighbors. In Khuza’a, members of the Najjar family told me soldiers forced them to stand at opposite corners of their roof for a full day. And in the northern village of Oum Al Nasser, members of the Mismeh, Madhoun and Jarrad family told me they forced to sit in the center of town for three hours between 6:30am and 9:30am on July 18 — 100 meters in front of Israeli tanks. In most cases, those used as human shields and members of their families were abducted and taken to prisons inside Israel for weeks of harsh interrogations. Afeef Jarrad, 32, and his 26-year-old brother, Ahmad, of Oum Al Nasser told me they were abducted after being used as human shields on July 18, and were held respectively for eight and 16 days in a prison in Ashkelon. They were beaten all along the way, then interrogated in vain about the Qassam Brigades. “There was no sleep. They sat us on the chair for six hours and sat us in the cell, then brought us back to the chair three or four hours later. We didn’t know if it was night or day.” It was the same for Mahmoud Abu Said of Rafah, who was kidnapped by the soldiers who used him as a human shield, held in prison for several days before being dumped at the Erez checkpoint. He was so traumatized when I met him he collapsed several times while delivering his testimony. When I met Hani Najjar, he told me several members of his family had been abducted and were still in Israeli prisons. The Israeli invasions of Shujaiya and Rafah had already exacted a devastating toll on the residents of the cities when they were initiated. However, the death tolls and levels of destruction spiked dramatically in these areas thanks to the invocation by Israeli commanders of the semi-secret policy known as the Hannibal Directive. The Hannibal Directive was established in 1986 following the Jibril Agreement, a prisoner exchange in which Israel traded 1150 Palestinian prisoners for three Israeli soldiers. Amidst the political backlash, the Israeli military drafted a secret field procedure to prevent future kidnappings. The proposed operation drew its name from the Carthaginian general who chose to poison himself rather than be held captive by the enemy. This policy was designed not only to eliminate the soldier’s captors, but the soldier himself, if necessary. In Shujaiya and Rafah, the Hannibal Directive was applied not only to deliberately kill two Israeli soldiers, depriving their parents of the opportunity to agitate for their release in a politically controversial prisoner swap, but as an ostensible mechanism for revenge on the entire civilian population. In Shujaiya, the capture of Sgt. Shaul Oron of the Golani Brigades following an attack on an armored personnel carried by Qassam Brigades fighters that left five soldiers dead triggered the Hannibal Directive. From inside the ruins of his home, Tamer Atash recalled the immediate intensification of violence following the incident and the multitude of munitions that suddenly poured in on his neighborhood. He described watching his neighbors fall “like flies,” in his words, witnessing some jump from four story homes as they burst into flames. Before the bombardment was over, at least 120 were registered dead, with more buried beneath rubble. In Rafah, the Hannibal Directive was invoked after the capture by a Qassam Brigades ambush team of Lt. Hadar Goldin, a member of the Givati Brigades’ elite Paratrooper Unit 101, which also led the assault on Khuza’a. It was August 1, 30 minutes before a humanitarian ceasefire was to take place, and Goldin’s unit had occupied a home in Ras Almoud just east of Rafah. The day is now known by residents of Rafah as Black Friday. As soon as the phrase “Hannibal!” blared across Israeli army radios, the military bombarded Rafah with almost every mode of destruction available to it, from 500-pound “dumb bombs” fired from F-16’s to Apache helicopter rockets to naval shelling to drone strikes and mortars. Bulldozers ripped down homes near the area where the capture of Goldin took place while tanks barreled through neighborhoods, shelling anything in sight. In a matter of hours, at least 500 artillery shells and hundreds of missiles were dumped on the city, almost entirely in civilian areas. By the end, at least 190 people had been killed, including Goldin, apparently, though his condition was unclear at the time of his capture. When the Israeli military threatened to bomb Rafah’s Najjar hospital, hundreds of dead and wounded were forced to evacuate to Kuwwaiti Hospital, a tiny dental and OB-GYN clinic, where Dr. Sami Homs told me he was forced to carry out amputations and operations in the hallways, and to store body parts and dead bodies in ice cream coolers and meat lockers. Col. Ofer Winter was the commander of the Givati Brigades that presided over the massacres in Khuza’a and Rafah. Winter is a significant figure for the jury’s consideration, not only because he admitted to invoking the Hannibal Directive upon Goldin’s capture in an August 15 Yedioth Aharanot interview, but because of the mindset and sensibility he embodies. Winter is a graduate of Bnei David, a pre-army yeshiva that has played a central role in filling the ranks of the military’s officer corps with religious nationalists committed to a messianic perspective on society and combat. He is one of the religious Zionists who now comprise at least 40% of the army officer corps. He views Palestinians not necessarily as a population that is hostile to Israel or as enemy combatants, but as blasphemers against God who must be destroyed in a holy war — a “war of light against darkness,” as he has said. In a letter he issued to his troops prior to the ground invasion of Gaza in Operation Cast Lead, Winter declared, “History has chosen us to be the sharp edge of the bayonet of fighting the terrorist enemy ‘from Gaza’ which curses, defames and abuses the God of Israel’s battles.” This is a standard view among the religious nationalists who increasingly populate the ranks of the Israeli army’s officer corps. I want to close with two points: First, we cannot address the crimes that occurred in Gaza this summer without examining the historical and political context of Operation Protective Edge. The unprecedented levels of violence wielded against residents of Gaza reflect the trajectory of Zionism and are required by its logical imperatives. Zionism is a settler-colonial movement that demanded the mass expulsion of Palestinians from what is now Israel and their permanent ghettoization in the Gaza Strip, where 80 percent of the population are refugees, in order to consolidate Israel’s ethnic purity. The longer the the ghettoized population resists this system of demographic engineering, the more malevolent its occupier becomes. So the horrors we just witnessed in Gaza did not occur in a vacuum. They are reflections of the historical trajectory of Zionism. Now let me make a final point: We have heard about residents of Gaza throughout this session as victims and as people who suffer unspeakable abuse. That’s true — they are indeed victims who suffer immensely. But they are also people who resist. Muqawama (resistance) andsumud (steadfastness) are not just words, but ways of life. If we can address their suffering we can also respect their strength. If they resisted then so can we. Then so should we.